8-Days Power Reserve has always been associated with Panerai, ever since the Angelus 8-Days movement was used in many vintage Panerai watches. 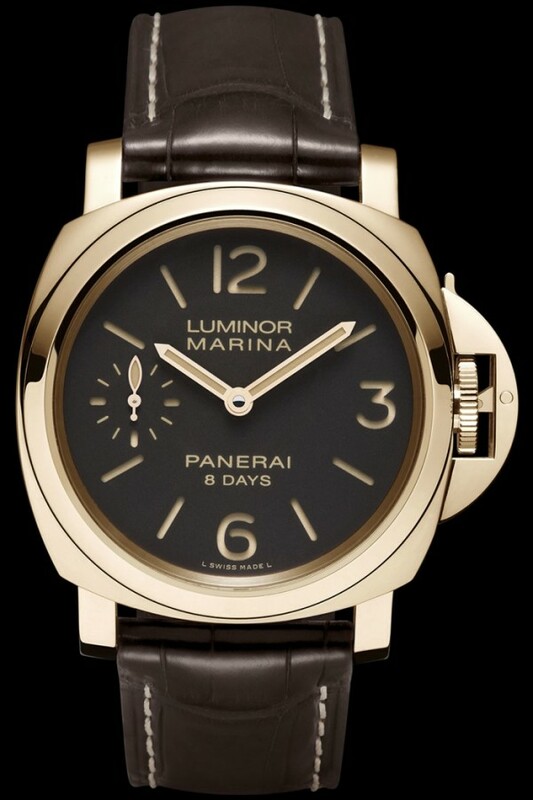 Panerai has announced a new 8-Days hand-wound movement, Calibre P.5000. 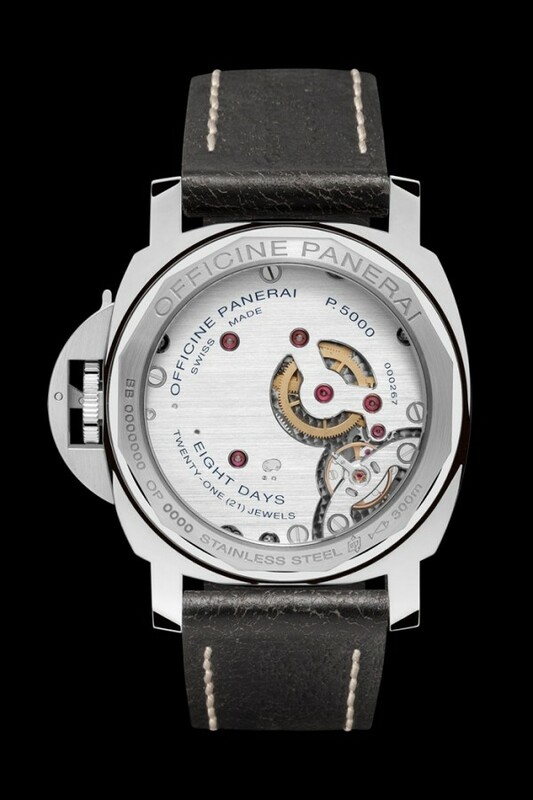 This is not the first 8-Days in-house movement by Panerai. The P.2002 Calibre was announced several years back, with GMT and linear power reserve display in addition to the 8-Days power reserve. 2 new models powered by the new P.5000 have been announced: PAM00510 (stainless steel) and PAM00511 (Rose gold). 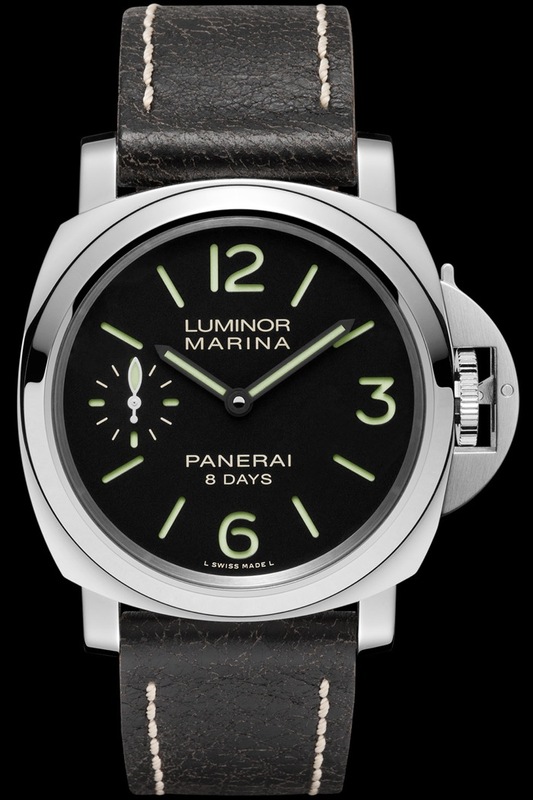 These models have similar dial as the PAM00111, but using the P.5000 instead of the Unitas movement. It will be under the Historic Collection.